To complete the level I have to find the size of a pagefile stored inside a 4Gb file. Hmm, the type of the first three entries is ok but the last one seems to be odd. What’s ‘pmem’? PS. 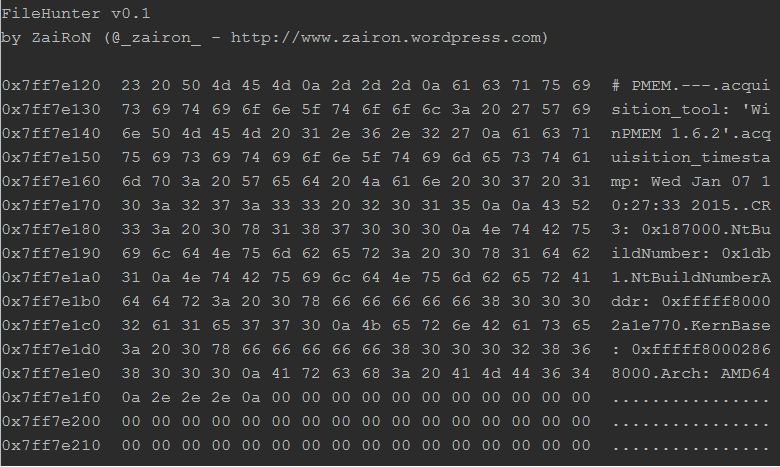 look at the end of the Image file, there’s another pmem header showing the answer. 500 points in few seconds… easy money!